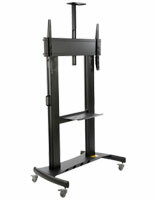 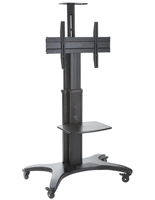 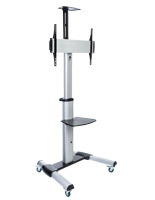 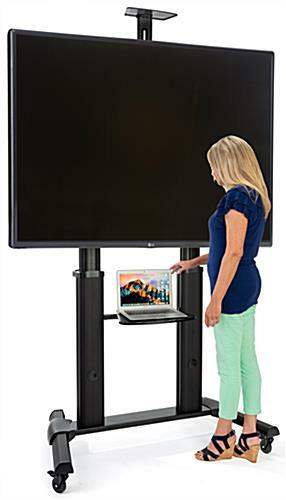 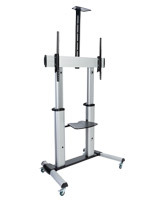 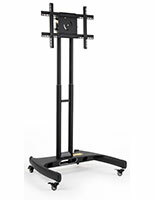 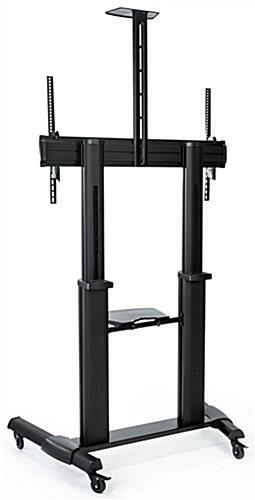 This heavy duty rolling TV stand is an ideal way to mount a flat screen at a conference, presentation, classroom or office. 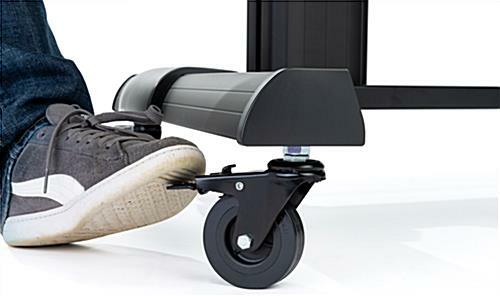 Four locking casters make transporting easy but also allow you to set the unit in place when need be. 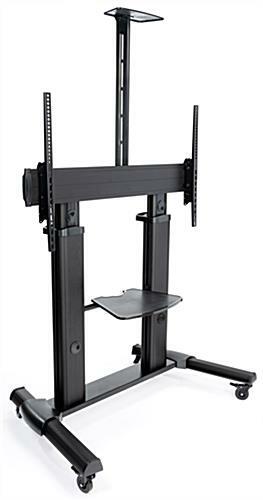 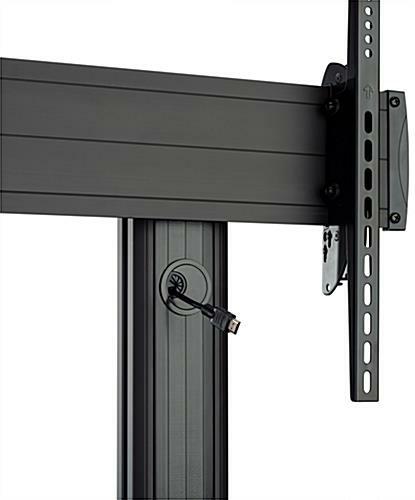 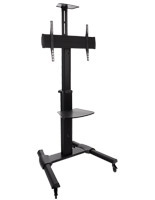 The black rolling TV stand features adjustable height via Allen key to position the flat screen at the desired viewing level. 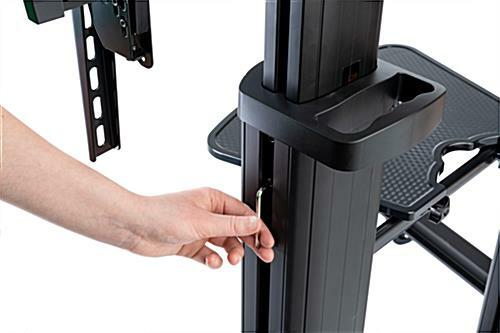 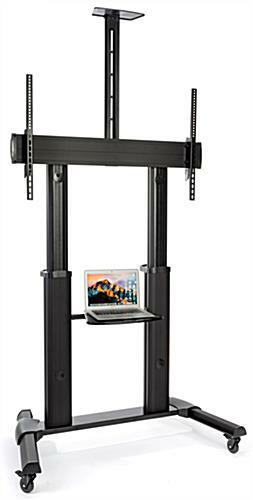 An internal cable management system hides all unsightly wires and keeps them concealed within the mount. 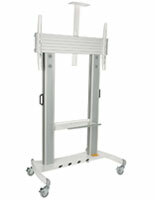 A durable aluminum alloy construction ensures reliable performance for many years. 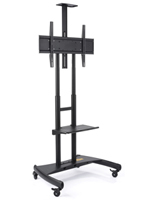 Complete with locking casters and an adjustable height feature, this rolling TV stand is the perfect solution for mounting a 60”-100” flat panel.